This post is in response to a number of questions people have asked about Twin Flames – what are Twin Flames, are they the same as Twin Souls, Twin Rays or soul mates, does everyone have a Twin Flame, is there only one Twin Flame or can one have many? I’ll reflect on these askings from the perspective of my reunion early this year with Ashura, and what has become clear through our reunion. I – this soul expression ‘Joanna’ – took a long journey in this incarnation, to reconnect fully with him (see this post), firstly with soulmate partnerships, and lastly with a very close Twin Soul union in which we ‘walked each other to the door’ of our Twin Flame reunions. The re-awareness of my ‘Joanna self’ to Twin Flame came in gradually, as ‘she’ realigned with Higher Self/Inner Divine Self, and the Oversoul from which Higher Self projects as the guide of all one’s Oversoul’s soul aspects expressed and extended into various dimensions and states of being. This journey of realignment is unique to every soul incarnate on the planet, and cannot be forced, but only opened to and allowed with ever deeper love, trust and understanding of what needs to be released….until the convergence of all soul aspects returns to Oneness. In hindsight, Ashura’s presence was there in the background all my life, softly calling, and in the last few years, visible and tangible to me as an angel ‘watching over me’ (see the Shem Arua and Light Beings pages for how he has appeared since 2013). But it wasn’t until our energies merged in February this year that I truly felt what Twin Flame is. 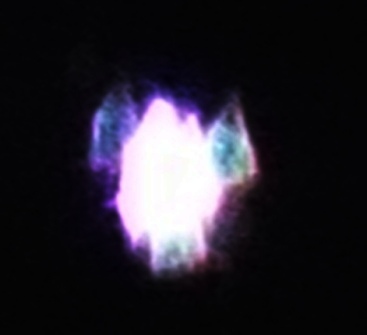 We have shown it in the photo below, our Twin Flame merge projected as a light-form. 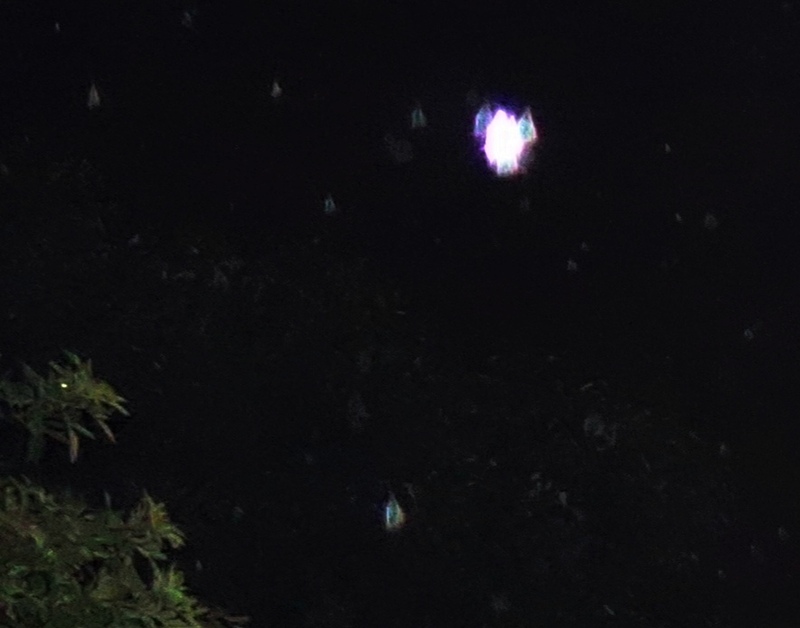 Here you can see the Angelic light of our Higher Self/selves, Ashura & Irana, merged together…two Higher Selves which are in truth One, two lights within one that have no beginning or ending, apparently ‘two’ yet always One, projected from the same Oversoul, a guide and culmination of myriad soul expressions of that One. Twin Flames is a name being used to describe the apparent ‘two’ that is in truth One Flame. So though I am speaking of Ashura as Twin Flame, the earthly concept, how I know, feel, and ‘am’ him, is One Flame. As One Flame spiralling around itself eternally, we go into the centre of Source as a stream of Light that merges into One with all the Light, infinite, borderless, universally loving and loved…and radiate from it, holding the Oneness, anchoring it where we focus, honing (and homing) it through our own ‘zero-point’. As One Flame we rest within our Oversoul and flow through our Higher Self and many-dimensional soul expressions, feeling, knowing, holding the experiences of them all, as a unified Soul, in continuous sharing and unity with the infinite field of Spirit. So in this sense, ‘Twin Flames’ is a description of a union of a one Being experiencing ‘individual embodiments’ but which is of the same Soul, the same Essence. Twin Souls can share profound, deep energetic, expansive soul relationships too, which can feel similar in many ways to the One Flame merge, but are actually a union of two souls….and in terms of the Soul Light, Twin Souls move energetically as a double helix of Light spiralling around each other, rather than One Light spiralling around itself. Can you feel the difference? Twin Rays also have this depth and expansiveness, and if they are in a love relationship, will also double helix their Soul Light. Twin Rays – whether embodying as romantic partners, parent and child, brother and sister, lifelong best friends – have a supporting energy to each other, a natural affinity and likeness, expressing the same energetic qualities. Close soul mates can have Twin Flame, Twin Soul or Twin Ray-like attributes in their relationships too…and can also come from within the same soul groups, or overlapping/interconnected soul groups, like Twin Souls – or have the affinity and shared qualities of Twin Rays, although they can also express, and draw to the surface in each other, contrasting energies (whether this becomes conflictual or is embraced, counterbalanced and appreciated will depend on the stage of soul awareness/ego state of those involved). When it comes to the concept of having multiple Twin Flames, or many potential Twin Flames, what I would say is this: when I went into a deep Twin Soul connection (see this post) but felt it might be Twin Flame, I went into my Inner Heart for guidance, and asked whether this was my Twin Flame, and got back a ‘yes’. And indeed, from the higher dimensional perspective, the light of soul within us appears as a flame. When I look at people, I see the ‘imperishable flame’ of their soul light within them, no matter how much veiling is wrapped around it. We are all a Flame of Source…it’s what soul’s light IS. Also, with that particular inner asking for confirmation, the soul I was asking about is a close Twin Soul. So we are Twins, and we are also Flames. This year, when the final veil dissolved from Ashura and my connection, I again sought guidance in Inner Heart. The words that came back were, ‘Do you really need to ask?’ It was true. My soul already knew, the knowing flowed in through the heart, questions dissolved away in the light of total soul recognition. One Flame. One Soul, with Higher Self expressing through masculine and feminine ‘guiding lights’ for this particular thread of soul aspects….in the Oneness of the All. With love and joy to all on the sacred journey Inward, Homeward. May the light of your Flame blossom and shine its Love freely, deeply. ‘Angel in a raindrop’, September 16, 2016. ‘Angel’ close-up. September 16, 2016. This entry was posted in Angels, Arcturians, Arnap/Ashura, Ascension, Ashtar Command, Dimensions, Intergalactic Confederation, Orbs, Sky Signs, Twin Flames & Twin Souls and tagged angel photos, angels, ascension, higher dimensional beings, higher dimensions, higher self, light beings, orbs, oversoul, soulmates, spiritual love, spiritual relationships, twin flame reunion, Twin Flames, Twin Rays, Twin Souls by Joanna. Bookmark the permalink.